Learn and Master Piano at home with Legacy Learning Systems Video Courses, a series known for producing video instruction courses, to teach students how to play an instrument, from guitar to drums to piano. 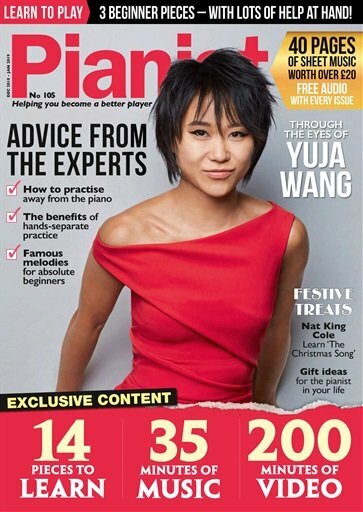 Learn and Master Piano is one of their courses. The course is aimed mainly at adults. One thing you will not find on the DVDs is highly basic piano exercises, given to young children for starters. 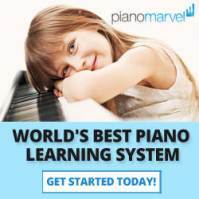 This course is a high caliber self-study piano program, presented on a series of DVDs that take you through the process of learning how to play the piano through simple step-by-step instructions. and a piano lesson book. On the DVDs, you can watch a demonstration of a piano playing session, which is immediately followed by a workshop session that involves learning the piece that you just saw played. The instructor clearly explains what the lesson is about and what exercises you will need to perform. 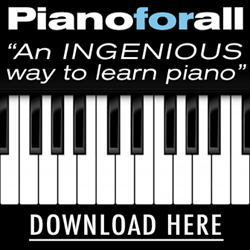 By teaching you the exercise, Learn and Master Piano allows you to learn it at your own pace. 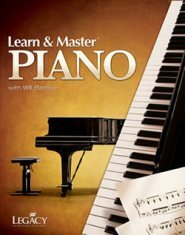 The piano lesson book shows the exercises that were demonstrated on the DVDs, so that you can consult one in print without having to pop in the DVD and search for the demonstration you need. Here is the beauty of piano lessons delivered digitally, without the extra expense of paying for a 'traditional piano teacher' every week. This format allows you to practice all you want until you become good enough to move forward to the next video demonstration and workshop. The Learn and Master Piano course includes five CDs that let you play the piano along to a recorded band track. This gives you the sense that you are jamming together with an actual band. It's a fun way to learn the songs that are demonstrated in the DVDs. The songs included on the CDs are well-known ones you're probably quite familiar with. They include Let it Be, When the Saints Go Marching In, Amazing Grace, Lovin' You, Oye Como Va, Ain't Misbehavin' and many more. The instructor on the Learn and Master Piano videos is none other than Grammy award-winning pianist Will Barrow, a man who is truly gifted at both piano playing and instruction. He has spent most of his life writing songs, performing piano, and teaching piano professionally. 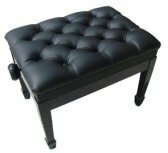 He has a teaching style that allows students to easily grasp piano playing concepts by means of his methodical step-by-step explanations. Legacy Learning Systems' Learn and Master Piano course is definitely worth a look.